When Vera is fetched from a home by her foster mother Edith, her situation is hardly improved. The imperious Edith, her alcoholic husband and mentally handicapped sister Edu live in close and impoverished conditions in a tiny Budapest apartment. They take in boarders to pay for the firewood, in the winter Vera is suddenly hospitalized, and the wrong legs are attached to the broken doll – all little tricks the family uses to defend itself against the poverty it is unable to escape. The family saga takes the reader through three generations along with a side trip through Hungarian history from the end of the war until the 1970s reflected in the minor everyday lives of the protagonists. In a cool tone and with bizarrely odd variegation, the story is told of the joyless lives, deprivations, violence, disease and deaths of these figures who cannot break out of their behavioural patterns. 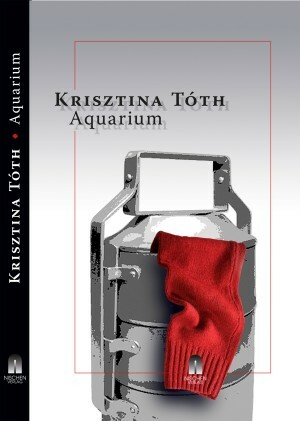 Krisztina Tóth, born in Budapest in 1967, completed her studies of literature at Eötvös Loránd University in Budapest. She worked as a sculptor, teaches creative writing and translates French poetry into Hungarian. She first published poetry in 1989 and volumes of prose since 2006. Her first book of short stories Vonalkód received the Sándor Márai Prize in 2006 and it, as well as her novella cycle Pixel, has been translated into many languages. Akvárium is her first full-length novel. György Buda, born in Hutthurm, Bavaria in 1945, studied geology and translation and interpreting in Vienna. He works as a conference interpreter, editor, narrator of audio-visual media and is a court-certified interpreter. 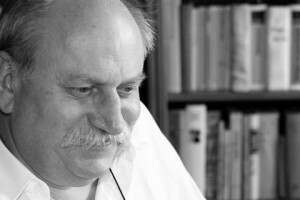 He has translated numerous Hungarian works of modern literature (by authors such as Gyula Krúdy, Zsigmond Móricz and Sándor Márai) and contemporary literature (in addition to Krisztina Tóth, Imre Kertész, Péter Esterházy, László Krasznahorkai and Lajos P. Nagy). He was awarded the Knight’s Cross of the Order of Merit of the Republic of Hungary for his work as a cultural mediator and for his translated works he received the TRANSLATIO, Austria’s state prize for literary translation, in 2013.